Data now dominates the agenda of many B2B marketers. But do marketers really have the right skills to use data to its full potential? In this brand new research project we surveyed over 200 B2B marketers to find out. Data now purveys the day-to-day of almost every B2B marketer, and those who ignore the growing importance of its role are likely to be left behind. But many marketers also lack the right skills. So, rather than focus on the fact marketers are struggling with data, we wanted to pinpoint exactly what they're struggling with. We designed this research project to find out where the challenges really lie. 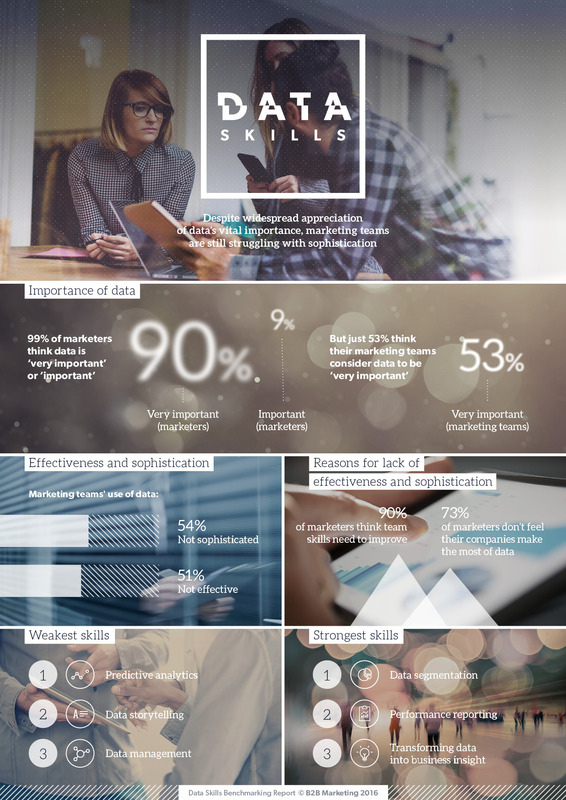 We listed 10 data skills - ranging from segmentation to visualisation - and asked over 200 B2B specialists to rate their own level of expertise against each one, then their team's and finally their company's. The results offer unprecedented insight into the state of data within B2B, and should give marketers, their teams and their organisations something concrete to aim for in the months (and years) ahead. Evaluate the use of data within your team and organisation. 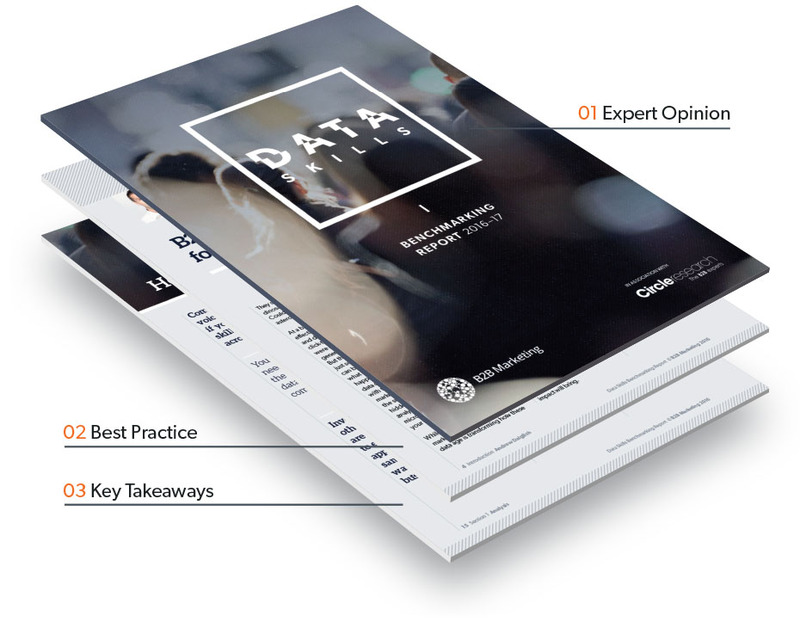 Understand how your own data skills fare compared to your peers. Take action to make sure your use of data is effective. Plan for your future development and that of your team. Drive change within your organisation. This report was produced in partnership with Circle Research, the B2B market research specialist. "Data is everyone's problem, and marketing should be the first to say so"